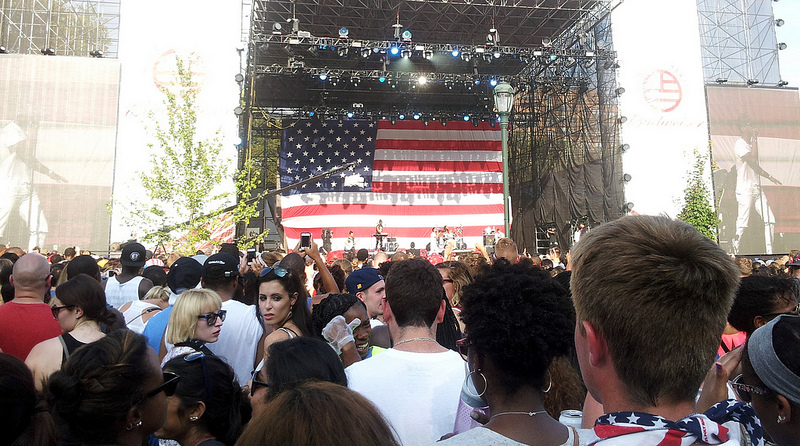 Anyone who missed the second annual Made in America festival, curated by Jay-Z over the weekend in Philadelphia, should start making plans for 2014, fans say. This year’s festival had appearances by Beyoncé, ASAP Rocky, 2 Chainz, Miguel, The Black Hippy Crew and Wiz Khalifa along with many other acts. Director Ron Howard’s documentary of the first event in 2012 is to premiere Saturday night at the Toronto International Film Festival. The documentary, co-produced by Jay-Z, is also set to appear on Showtime on Oct. 7. The documentary is filmed from Howard’s vantage point and captures exclusive interviews, backstage footage and exchanges with fans. Howard also follows Jay in the days leading up to the festival and all that went into the preparation. Artists who appeared last year and will be featured in the documentary include Kanye West, Drake, Janelle Monae, Run DMC, Santigold and Odd Future. Check out a sneak peek of what to expect from the documentary below.